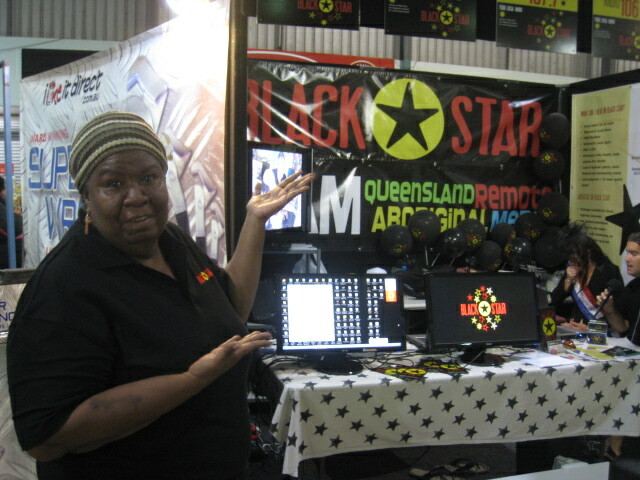 QRAM/Black Star crew went to the Cairns Show as a major marketing exercise, to inform the community people from the region about the Black Star services, who we were and what we do. There was real interest from NGO’s, Government Departments, Private Businesses and training organisations in coming on to the network as campaign sponsors. 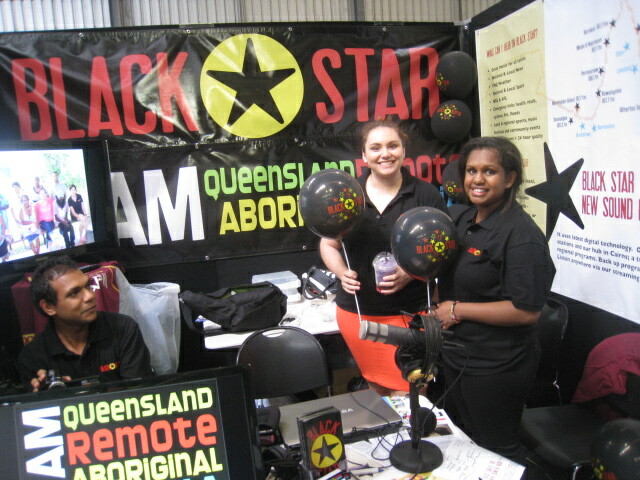 They were interested to know that we could give them air time on individual stations and multiple stations. Health departments were particularly interested in this new approach and concept of running Indigenous Closing the Gap campaigns. 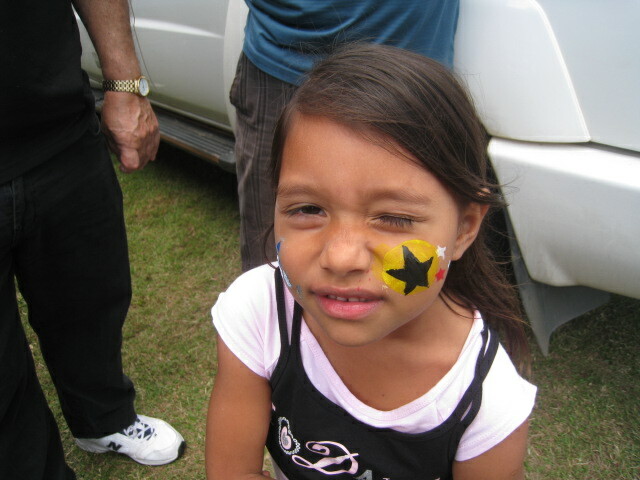 QRAM ran a competition at the NAIDOC celebrations at Yarrabah with the prizes being family show tickets. There were hundreds of applicants and for the winning families it made the difference of going to the show with the kids and staying in Yarri. With the business out of the way it was time to kick back and be kids ourselves. We did not venture on to the crazy rides, but Gilmore was treated to a full on rip roaring hair raising ride around the arena with the Isuzu drive team. It was a good thing he did not eat a Dagwood Dog before. 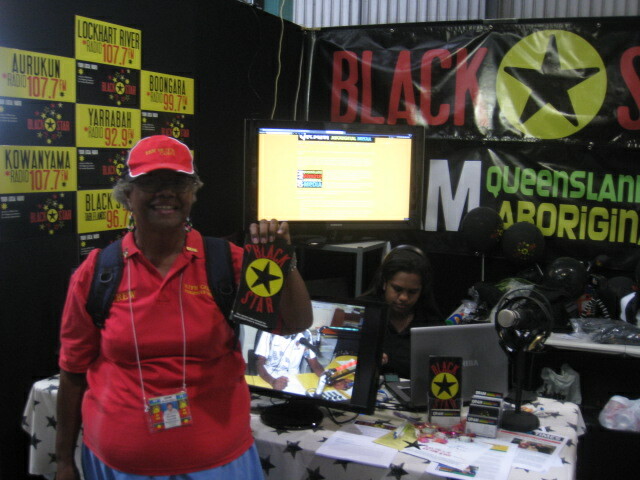 Black Star was overwhelmed by the support from the public and we were grateful and well supported by volunteers who manned the display kept the kids in balloons and fielded questions from the public.